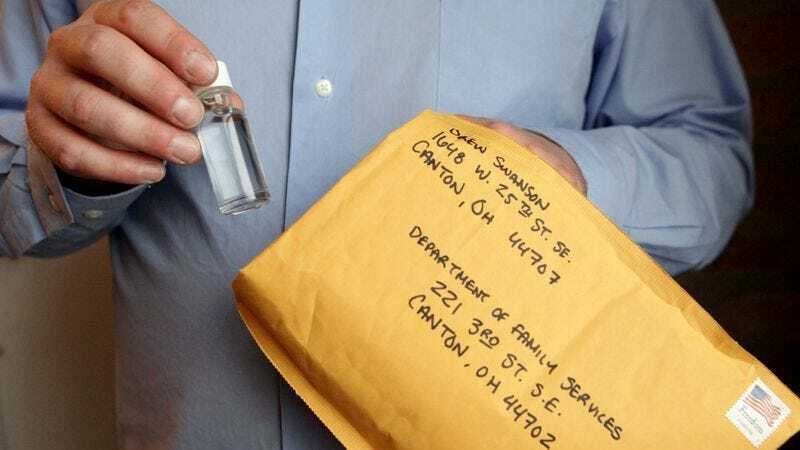 WASHINGTON— In an effort to ensure that those on welfare are actively seeking employment, a new law enacted this week will require recipients of federal aid to periodically submit vials of sweat for measurement by government officials. “We want to make sure that our resources are allocated only to those who are deserving of assistance, which is why all welfare recipients must now prove they have exerted themselves past the point of perspiration during their job searches,” said United States Department of Labor representative Elizabeth Bronson, who added that each month, in order to collect benefit checks, welfare recipients will have to wring out their sweat into official government vials before mailing them in for analysis. “These new stipulations will guarantee that people on welfare are out there every day hitting the streets trying to find employment, working up a good sweat, and not returning home at night until beads of perspiration are dripping off of them.” According to reports, Congress is also considering a law that would require those receiving food stamps to send in recordings of their family’s stomachs growling.